The US government has been doing everything it can to protect their petrodollar status around the globe. How did this all come about? In 1974, OPEC nations halted the sale of oil to the United States due to its support for Israel in the Yom Kippur War. This resulted in quadrupling oil prices, almost overnight. Inflation sky rocketed and the stock market crashed causing the US economy to nosedive. US president Richard Nixon ended up fixing this dilemma by setting up an agreement with Saudi Arabia. The US would buy oil from Saudi Arabia, protect them militarily and even sell them military aid and equipment, helping the military industrial complex in the US. In return, the Saudis would buy billions of dollars worth of US Treasuries to help finance America’s spending habits. History dictates how the US government and their ally’s have been protecting the wests financial dominance through this petrodollar ever since. In 2001, Iraq switched from the petrodollar and began selling their oil in Euro’s. Soon after, sanctions were placed on them followed by an invasion with massive destruction to their infrastructure. 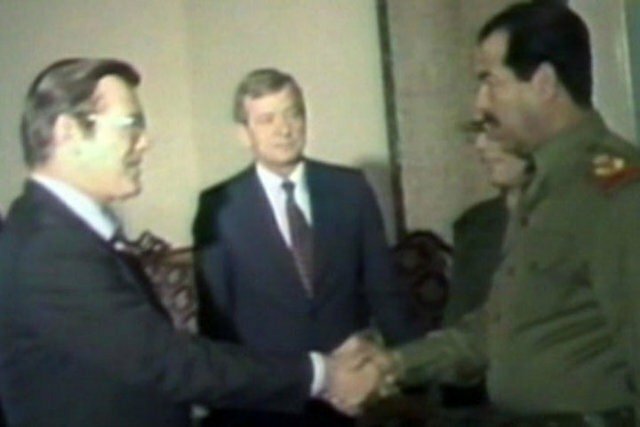 The Bush administration galvanized support for the invasion with lies about supposed WMD’s that Saddam was going to use on either his own people or Israel. This came a little more than a decade after the US assisted Saddam with chemical weapons and sophisticated military equipment as well as strategic supports so he could fight Iran. In 1996 and 2000 the leader of the oil rich Libya, Muhammar Gaddafi, had initially indicated the idea of a gold backed African currency. He found there to be many African and Muslim nations interested in the idea. He began amassing large amounts of gold and silver, to the tune of 144 tons of gold and a similar amount of silver. That is half of what the UK possesses in gold, but Libya has 1/10th the population of the UK, so it was quite substantial. In 2009, Muhammar Gaddafi was the president of the African Union. He proposed the African states shift to a new Golden Dinar that was actually made from physical gold. Many of these interested nations were using the French franc (CFA) circulating as a prime African currency. A leaked Hillary Clinton email showed this to be a serious issue for the french and how they were worried it would do a tremendous amount of harm to their economy. The US also felt threatened to loose the petrodollar in this oil rich region. The prospect of sovereign control by a growing number of African and Muslim oil states would have been disastrous for Wall Street and London bankers. It would have meant huge liquidity in the trillions of dollars they no longer controlled as well as potential hyper inflation for the US dollar who had just quintupled their money supply to pay for 2 major invasions (Iraq and Afghanistan) and to offset their losses from the 2008 recession.